Positively Wellington Tourism and Grow Wellington have joined together in an attempt to attract Australian startups and businesses to the New Zealand capital. The ‘Wellington Adds Up’ campaign includes a competition for five Australian business owners to tour the city, meet with business and industry leaders and experience what the city has to offer first hand. With 47% of the workforce in knowledge intensive industries, Wellington is the greatest concentration of digital and web-based companies in the country. 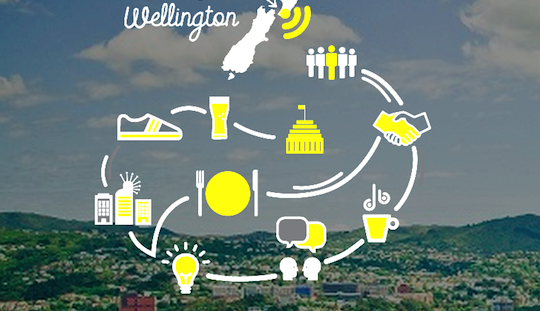 Wellington hope the campaign will drive new investment and growth in the city through talent and business attraction. The competition entry form is hosted within the business section of Wellington’s official website, showcasing the city as a business location, including key statistics and links to articles. The campaign is part of the Destination Wellington platform identified in Wellington City Council’s 2012 Economic Development Strategy to attract new business investment. “New Zealand’s economy is strong, and we have significantly lower taxes and operating costs relative to Australia. Add to that Wellington’s affordability and exceptional performance in quality of life surveys, and it makes for a solid case,” Grow Wellington chief executive Gerard Quinn said. The campaign highlights Wellington as one of the most affordable cities to live in Australasia and has the most highly educated workforce in New Zealand with almost 30% of residents tertiary qualified. Australia remains as Wellington’s largest international visitor market. The number of Australians visiting Wellington has increased by 25% in the last five years. “Wellington is on Australia’s radar like never before. It’s the perfect time to tell the story of Wellington as not just a great place to visit; but a great place to live, work and invest as well,” said Jo Coughlan, Wellington City Councillor for economic development. This latest campaign follows a talent attraction campaign targeted towards Australian digital professionals which attracted over 12,000 visits to the Wellington Works site. Homegrown Creative and OMD are behind the media buying for the campaign, with Touchcast providing the banner ad creative.